Sahyadri celebrated Onam, the national festival of Kerala on 1st and 9th October. Once upon a time the God’s Own Land, Kerala was the capital of Trilokam ie., Sky, Earth and Hell. 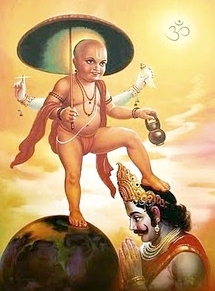 The legendary King of King Mahabali, an Asura emperor, was the ruler. Everybody was happy in the kingdom; there was no discrimination on the basis of caste and creed. There was no crime, no corruption, no thieves, no poverty, sorrow or disease. A perfect Ramarajya as dreamed by our Mahatma. Even Gods were afraid of their own existence. They assembled and send Lord Vishu as Vamana who requested for small piece of land that could be covered by three steps of his small legs. King agreed. Vamana started growing gigantically. Sky, Earth and Hell were over in two steps. On the third step the beloved king of fascinating Kerala was pushed into Narak. This noble King will visit Kerala once in a year. That is celebrated as Onam. Onam celebrations involve elaborate meal consisting of several vegetarian dishes served on banana leaves. This is followed by recreational activities and dancing activities like Kaikottikali and Onam Songs. Sahyadri is celebrating this grand festival for the seventh consecutive year. Janasamskriti Dwarka – Women’s Wing Annual Conference on 1st Feb.